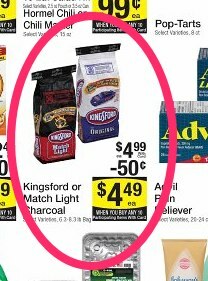 $5 off Kingsford Charcoal Coupon = FREE at Kroger! 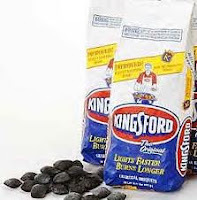 Hurry and print this high-value $5/1 Kingsford Charcoal coupon! These are priced at $4.99 this week at Kroger, or $4.49 each if you buy 5. Either way, FREE! If you don't live near a Kroger, price match it at a local store! Click here to get it, use zip code 75034 under Household. Thanks, Gone Klippin' Krazy and I Heart the Mart for Kroger photo!